One of the best ways to take advantage of the gorgeous fall weather is by visiting National Parks with your family. No matter where you live in this beautiful country, there’s a National Park near you! Find one using the search-by-state feature at the National Park Service website. All year, the NPS has been celebrating their centennial! They’re offering a wonderful program called Every Kid in a Park, where every 4th grader in America gets a FREE National Park Pass. My twin girls were in 4th grade in the spring, so we signed up and used our free Pass to visit 7 National Parks this year (so far!). We took a 17-day roadtrip out to Yellowstone and drove across Wyoming and South Dakota before visiting family down in Kansas. One of the best parts of visiting National Parks with your family are the Junior Ranger programs at each site. 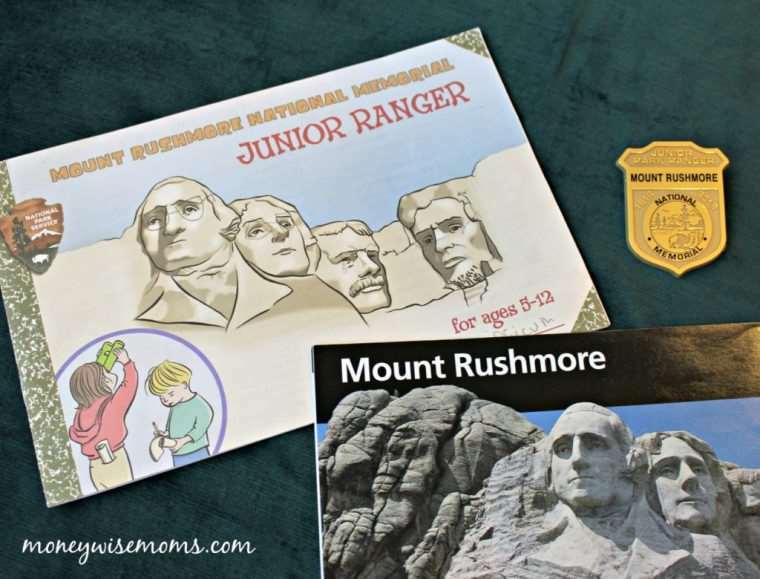 When we went to Mount Rushmore, we learned so much by interacting with the park ranger and using the pages in the booklet to walk through the exhibits in the museum. At many sites, the Junior Ranger books guides your visit with the kids so you’re not just wandering. At Devils Tower National Monument in Wyoming, for example, we hiked the base of the tower but the program taught us about how the Native Americans in the area used (and continue to use) the site for sacred rituals. Getting out and enjoying nature–especially in the fall–is a great way to make memories with your family. Even if you cannot take advantage of the free National Park Pass, I hope you’ll find a park in your state and head outdoors! My kids loved climbing boulders in Badlands National Park in South Dakota, which couldn’t be more different than our city life here in DC. They will never forget it! What are your favorite National Parks to visit?